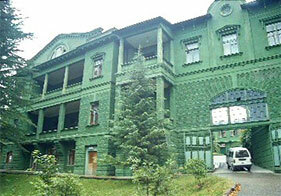 Former summer residence of "all nations leader" was built in 1930-s. Nowadays conditions of those times are carefully kept unchanged. The flame is glowing in the fireplace, the valuable wood floor are still the same. 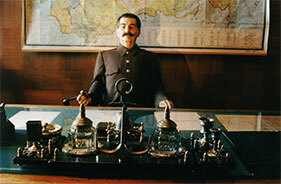 Stalin's presence is felt and on the second floor his wax figure is seating at the desk on the leather sofa with a smoking pipe in its hand. Tourists are allowed to take photos with Stalin's wax figure.